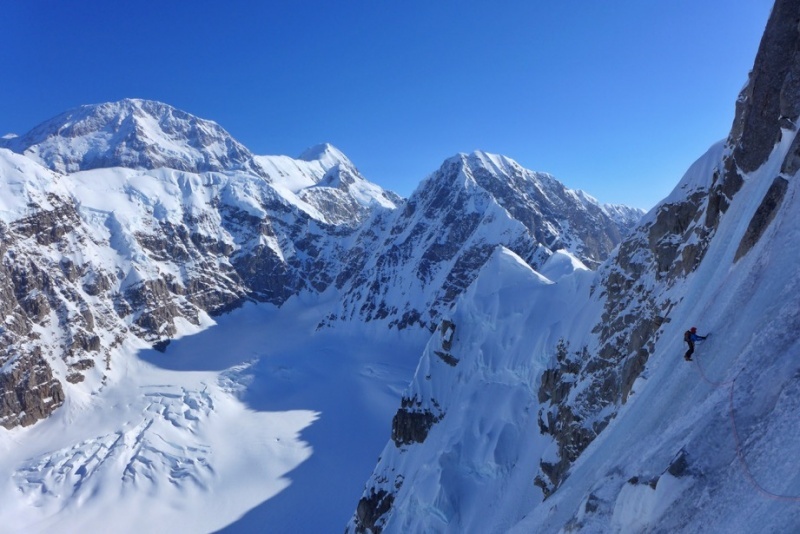 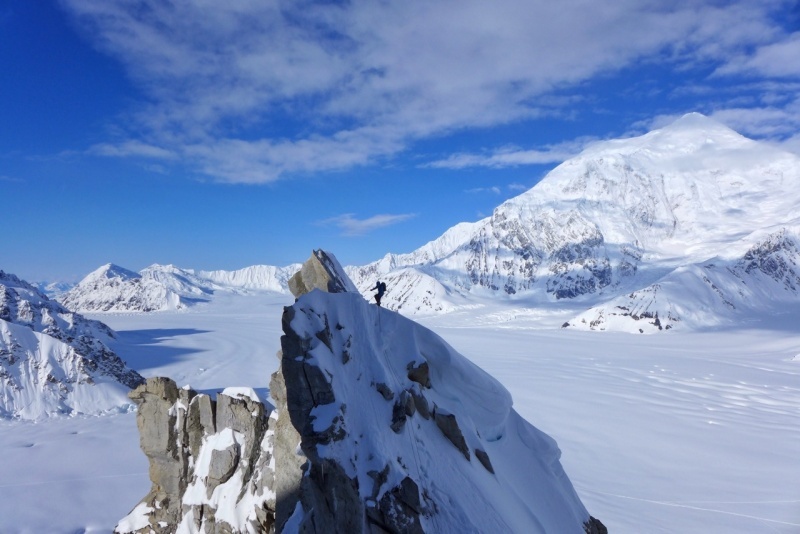 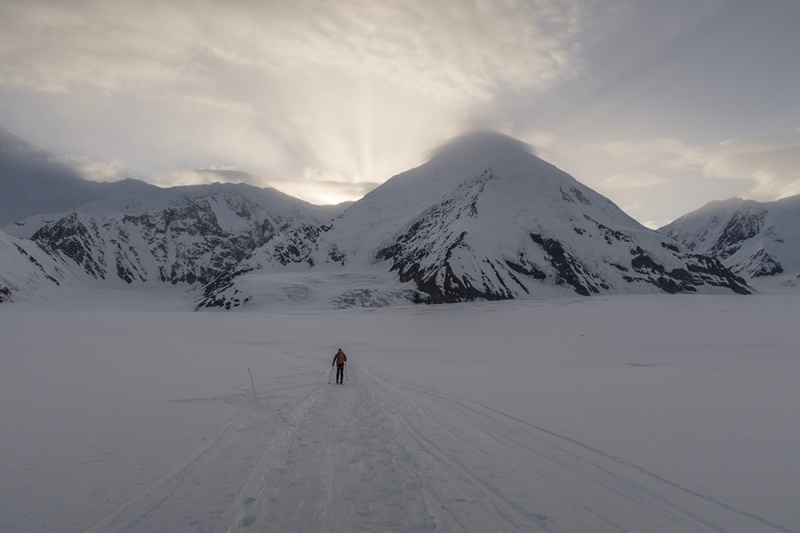 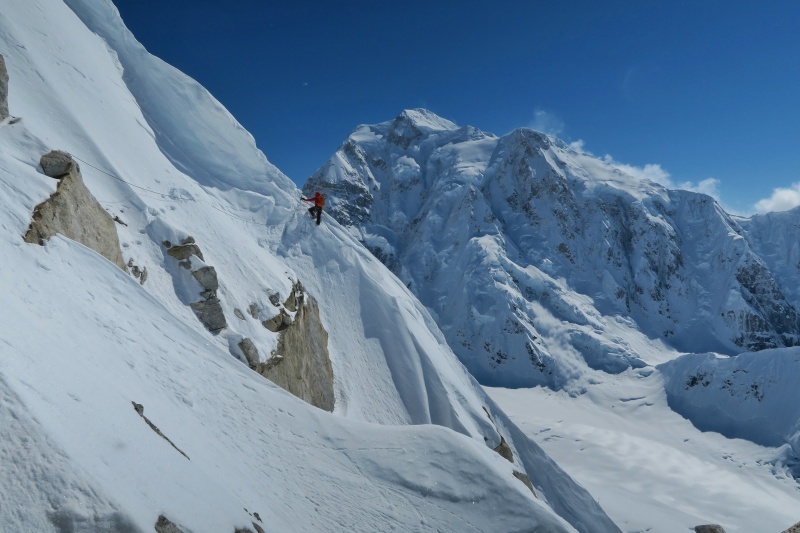 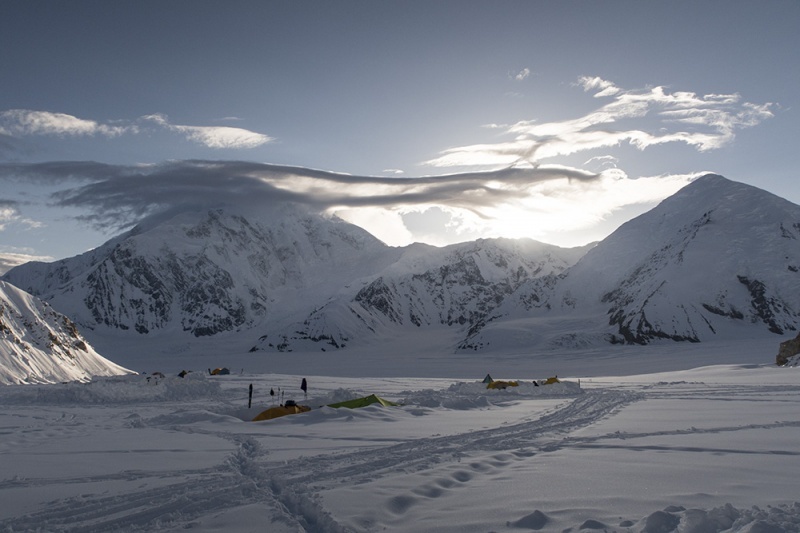 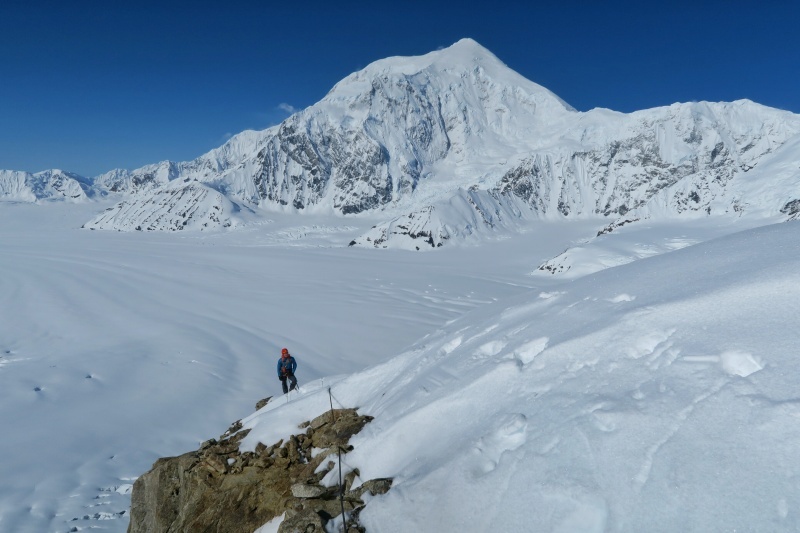 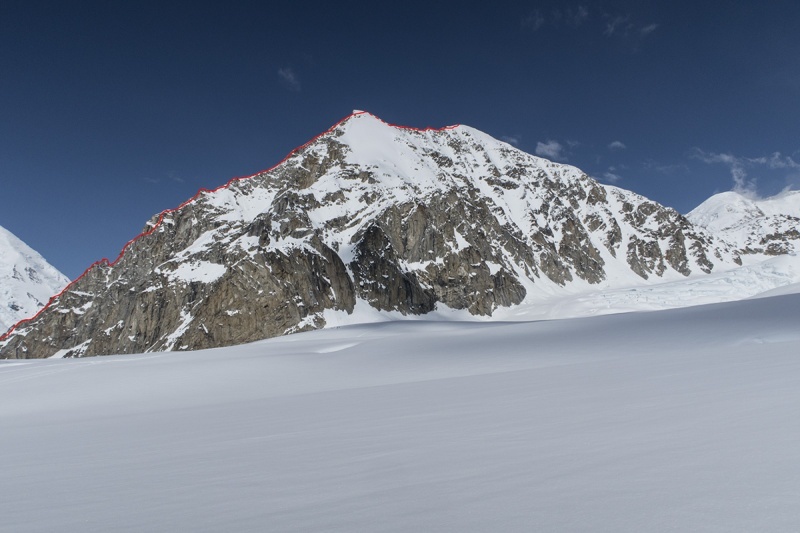 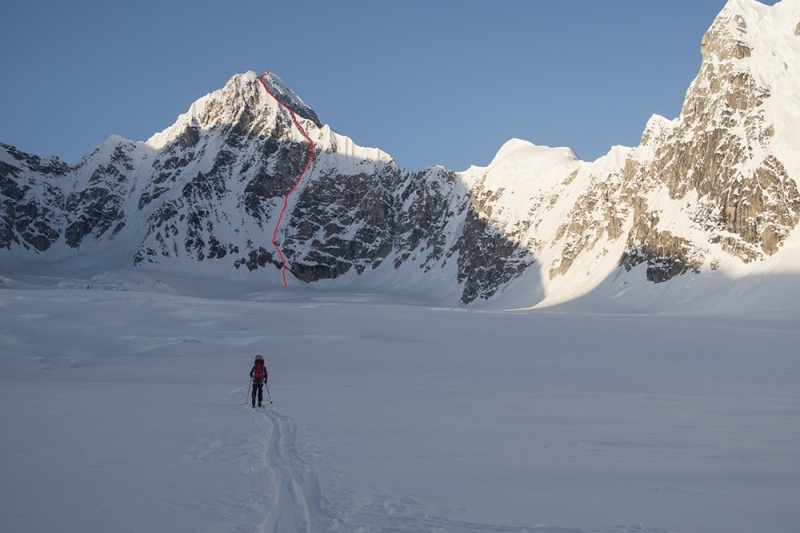 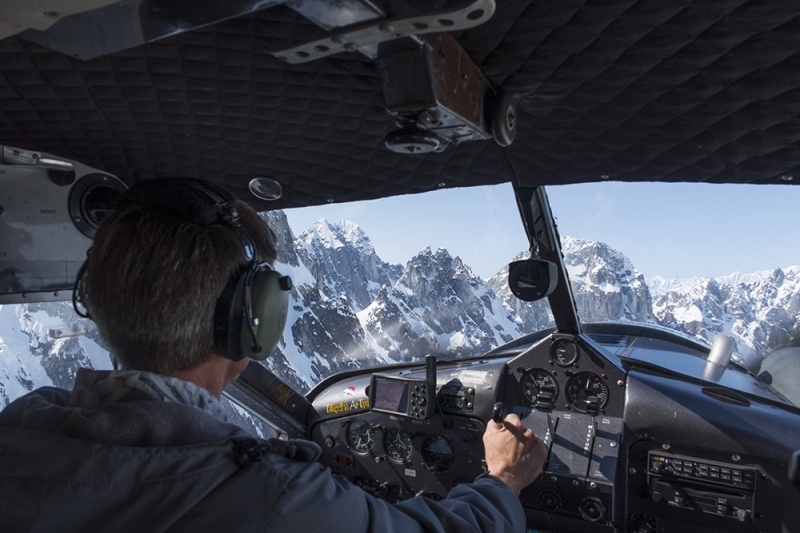 The idea to visit Alaska Range was born last year during our expedition in Indian Himalayas. 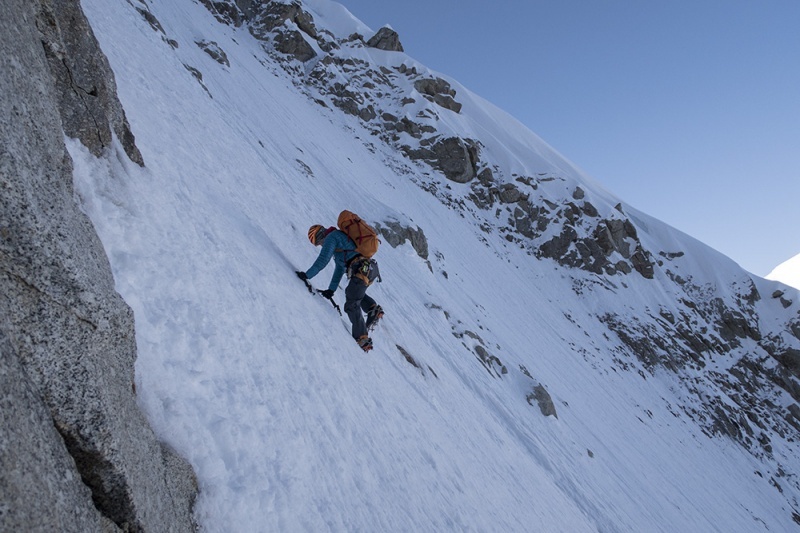 None of us have been ever there and even before coming back home from India, we were fully decided where we'll spend climbing this spring. 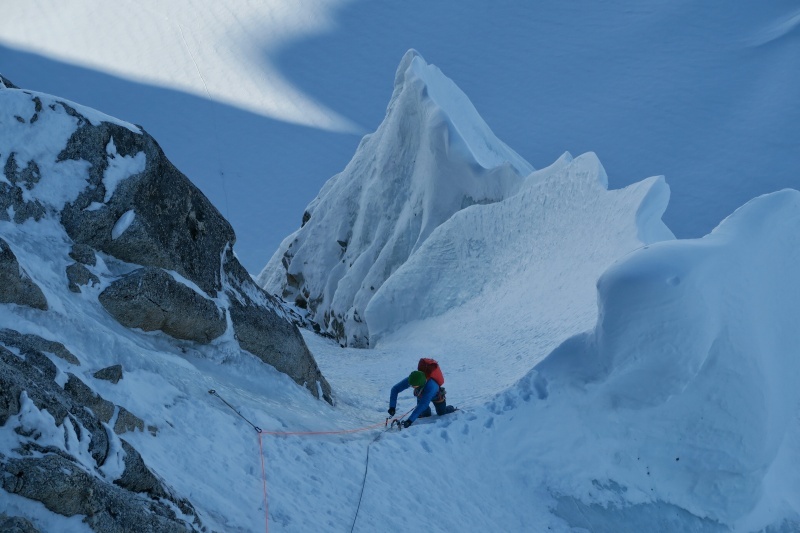 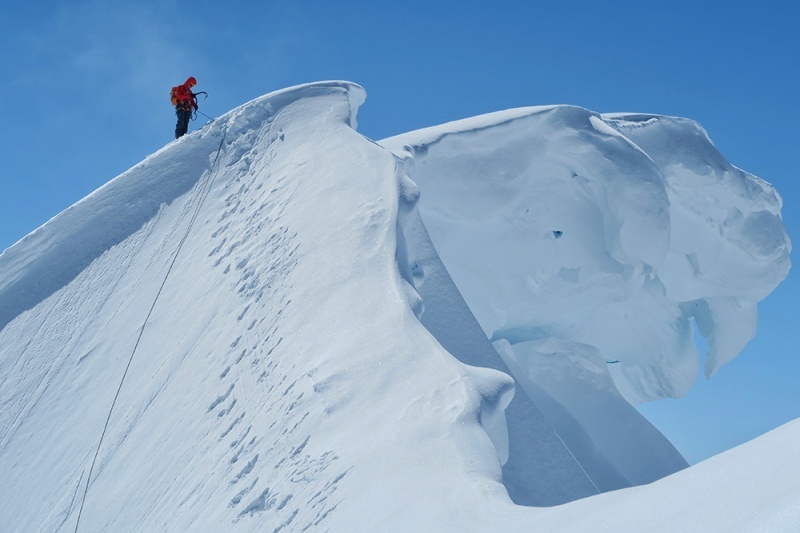 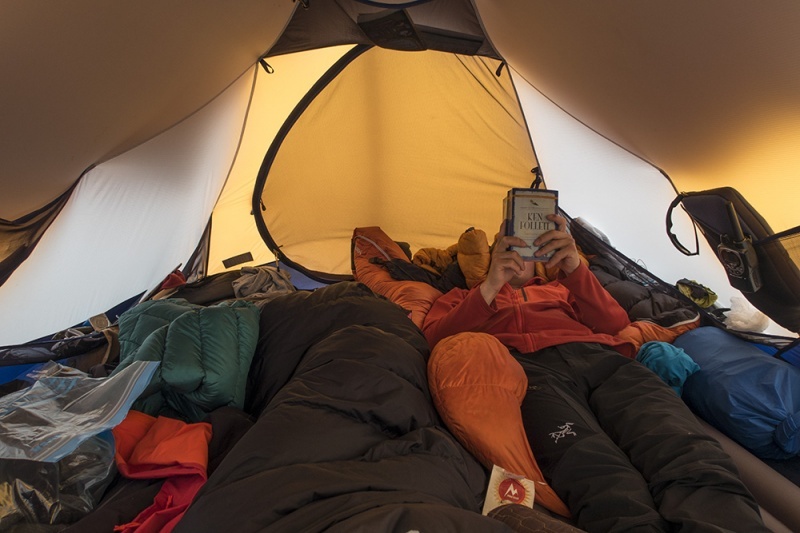 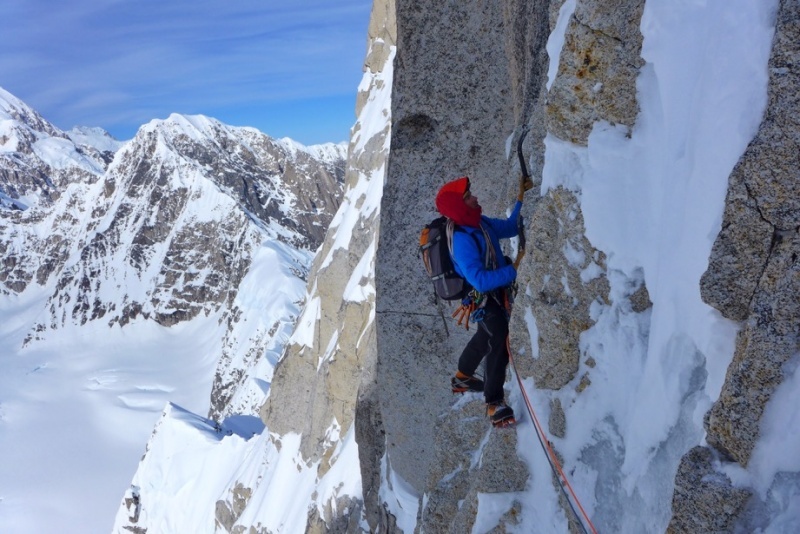 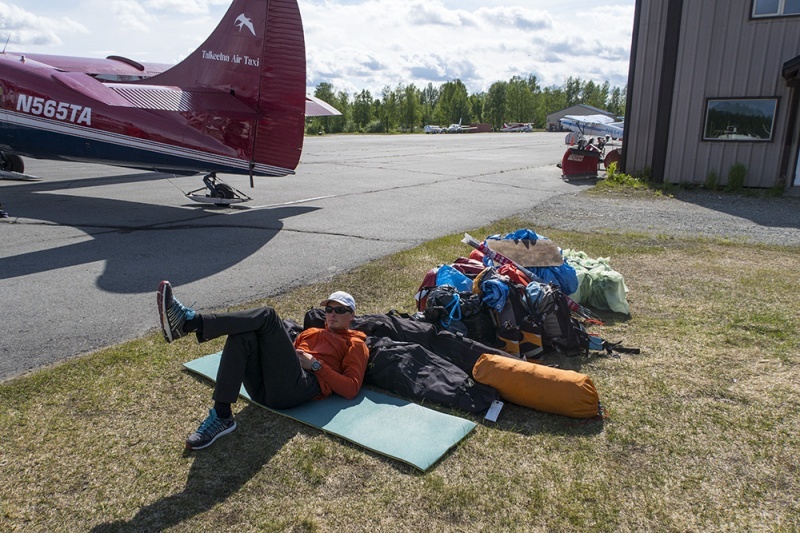 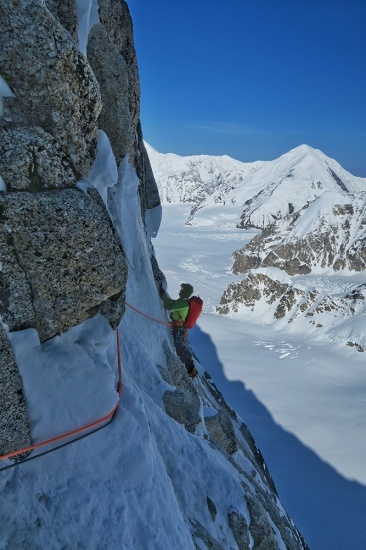 Unlike expeditions to Himalayas, there are not a lot of organizational problems with going climbing in Alaska, which was surely a nice change. 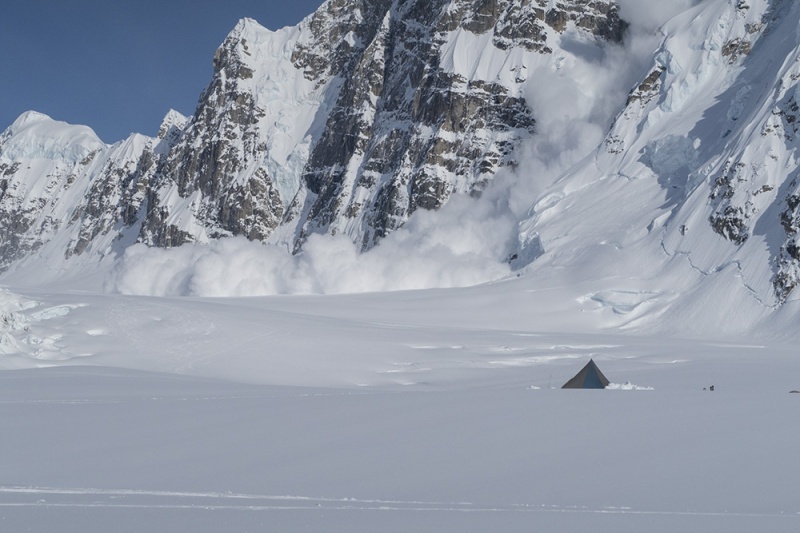 In less than three days after saying goodbye to our love ones in Slovenia, we were already digging a place for our tent and kitchen on Kahiltna glacier. 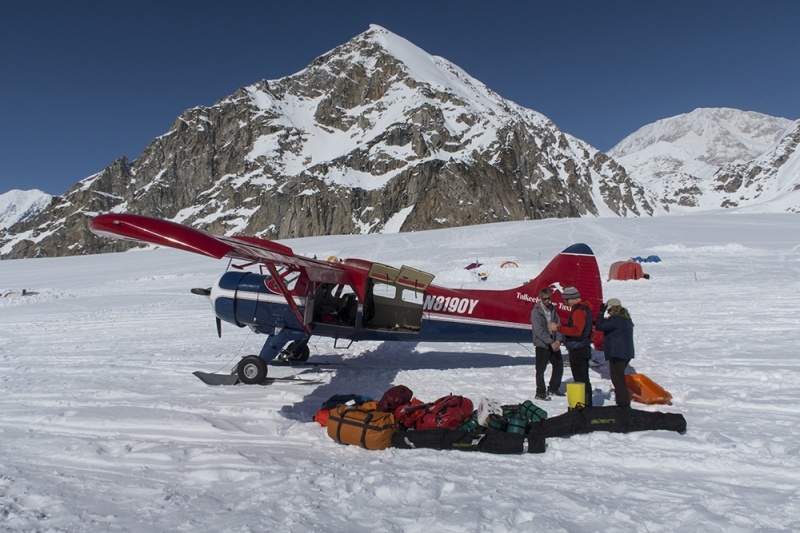 Unfortunately a bad weather came in just after few hours from our landing on glacier which forced us to stay in base camp for another few days. 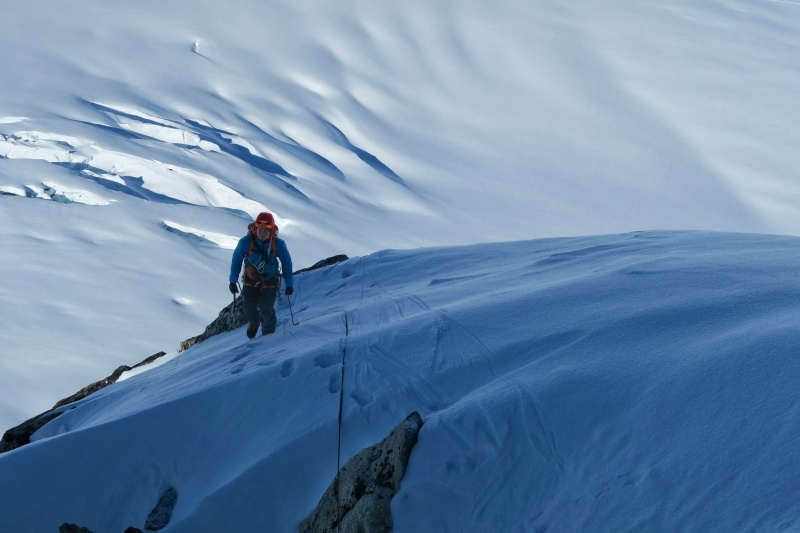 It would not be a problem if we would not be nervous about going to climb some great mountains in the range. 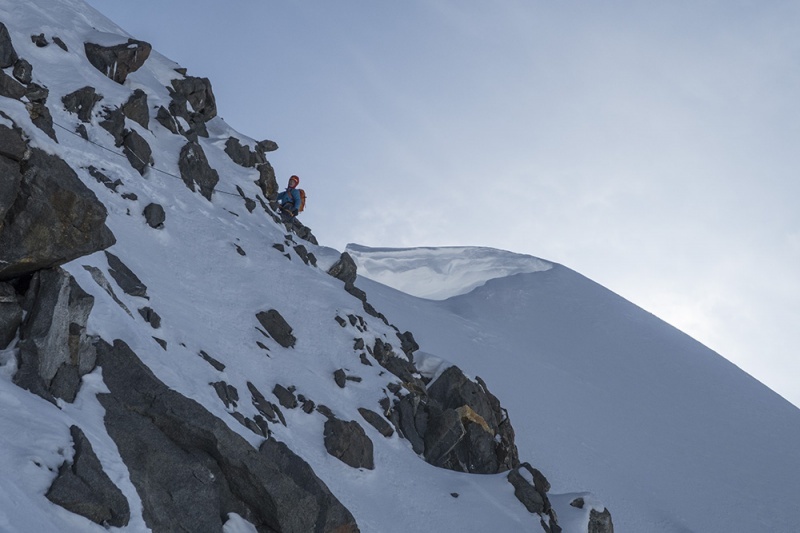 We did our first ascent for acclimatisation on SW ridge of Mt Francis. 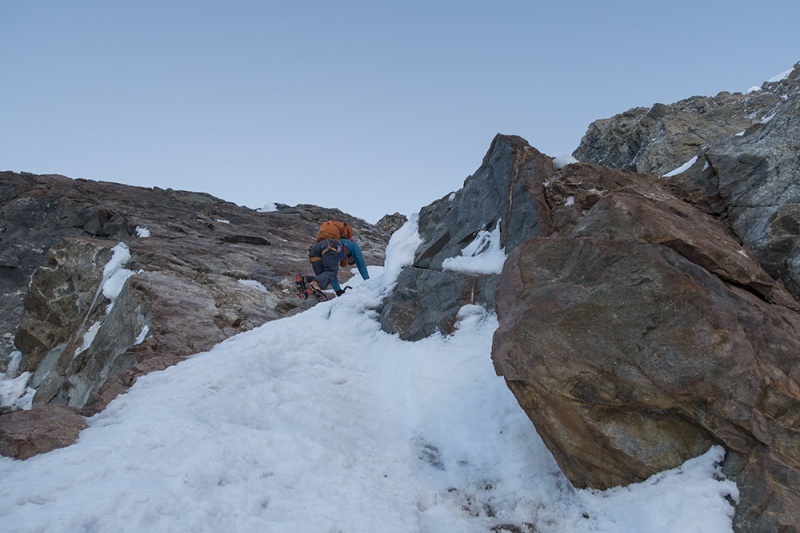 The route is not a high level climb, but it was a great adventure with all the cleaning the rocky parts and track breaking as we climbed it the first after a period of bad weather. 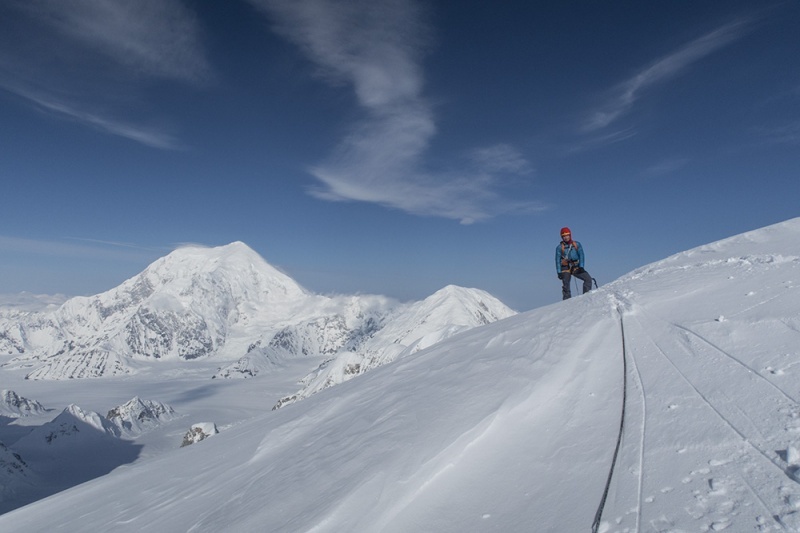 After a day of rest in sunshine we took off for a bit higher but technically easier climb on Kahiltna Queen (aka Humble Peak). 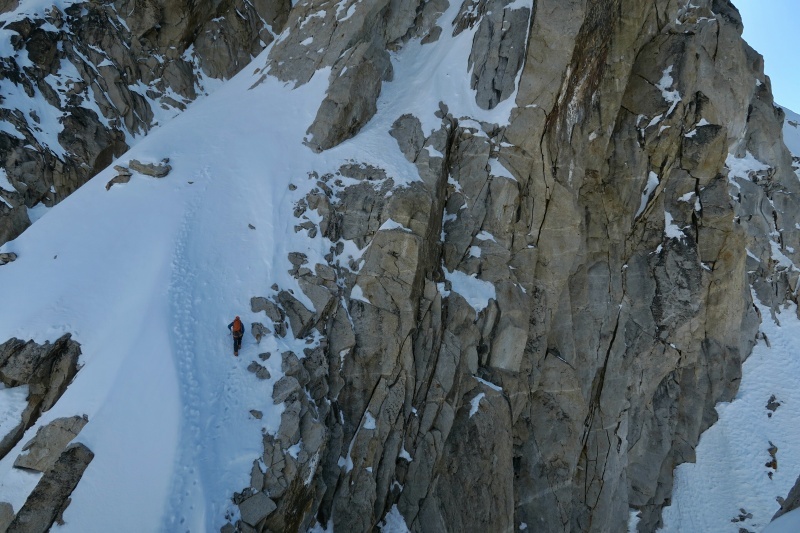 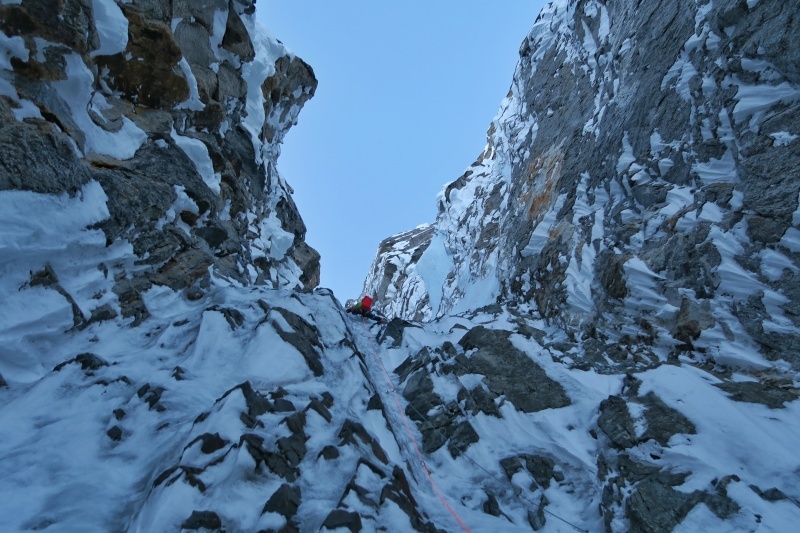 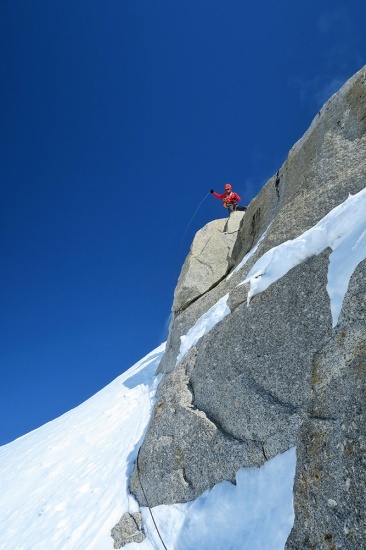 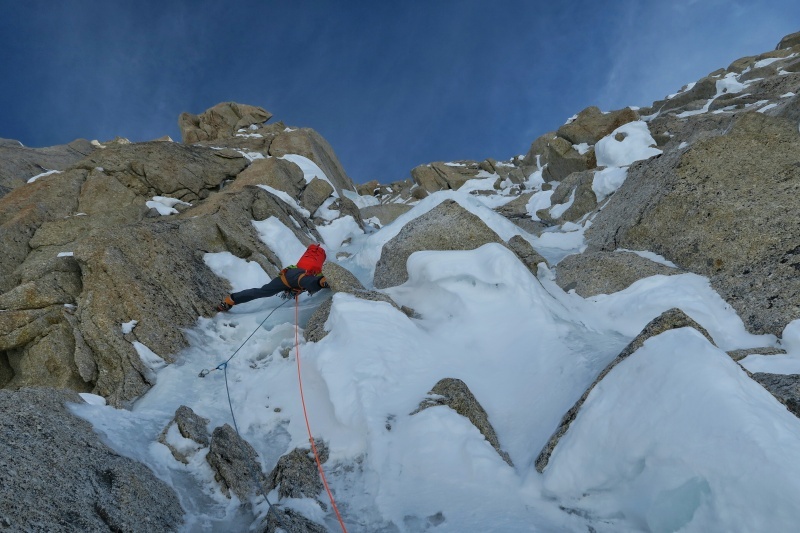 The crux of the climb was the descent, where you have to maintain high concentration when down climbing a steep snow/ice if you are not rappelling. 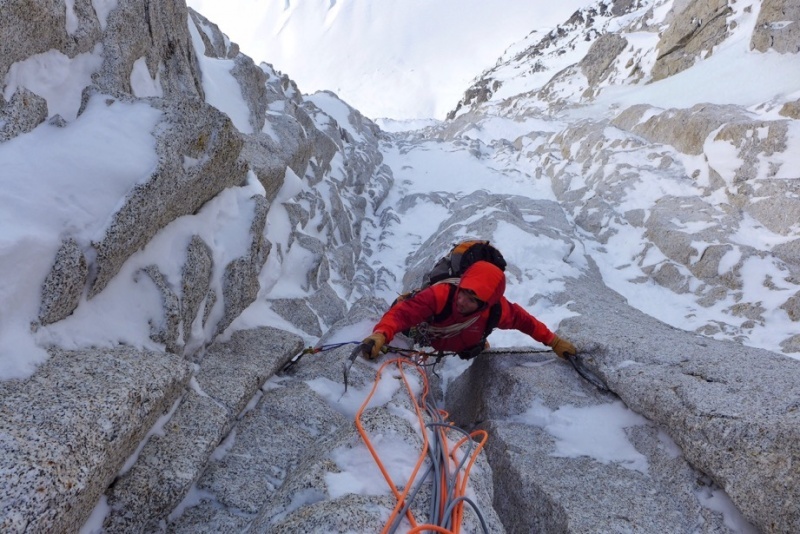 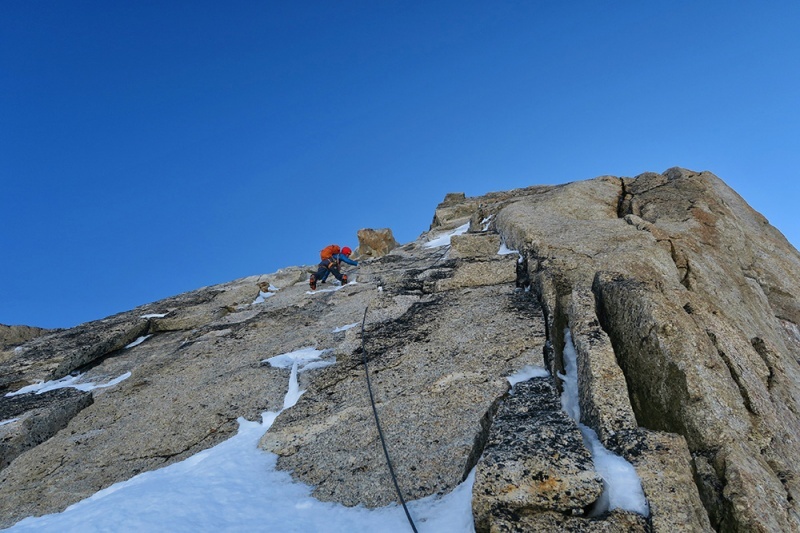 After a few days of resting in bad weather we decided to give it a try in the north buttress of Mt Hunter (aka Begguya). 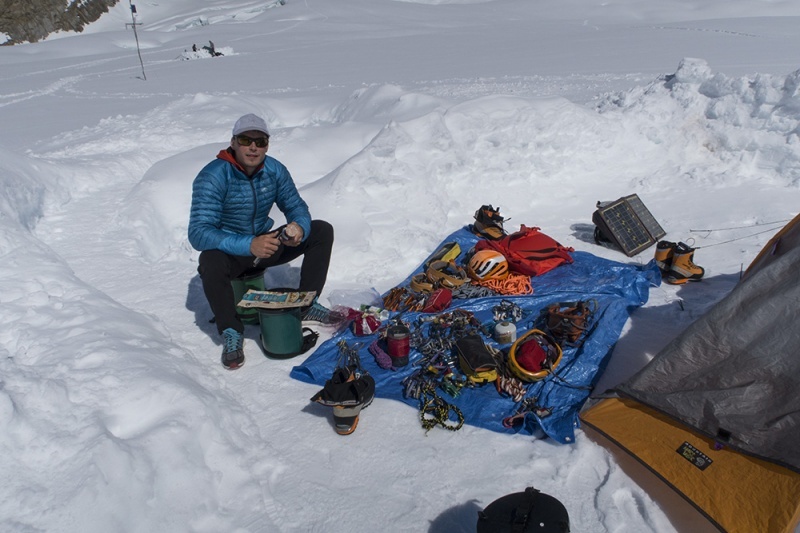 We packed our backpacks with quite a lot of technical equipment especially for rock climbing and with a lack of bivy equipment (no sleeping bags) to save some weight. 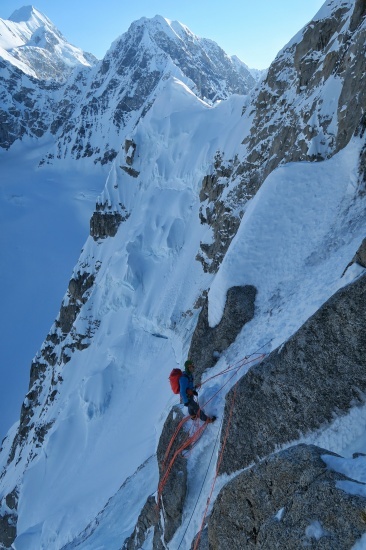 We decided to try a new line right from the French route, which looked difficult but interesting from looking up from the base. 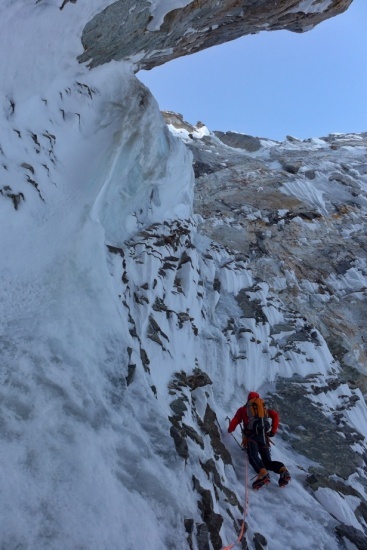 Unfortunately the ice/snow lines soon turned out to be made of useless snow on smooth rock. 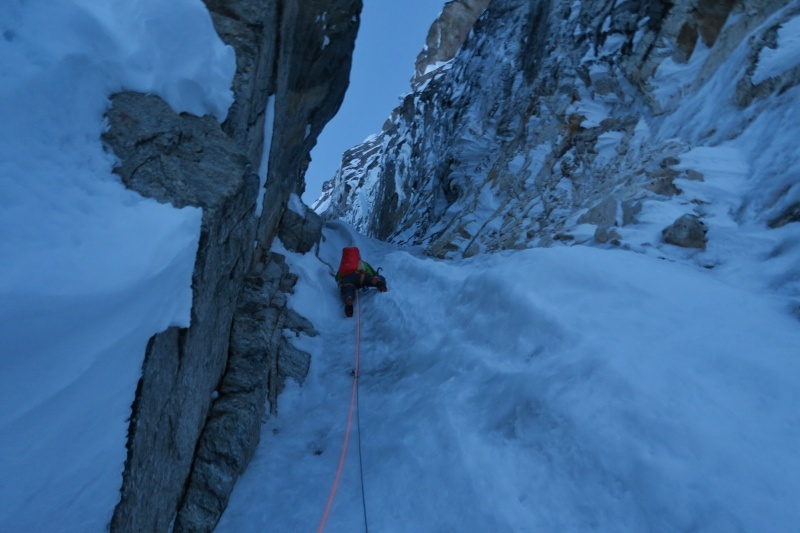 We quickly turned back left and decided to do the French (Grison-Tedeschi) route. 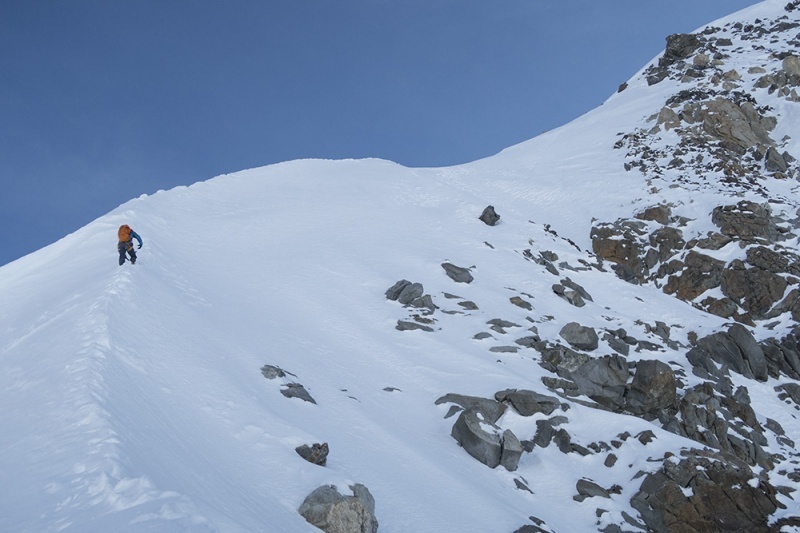 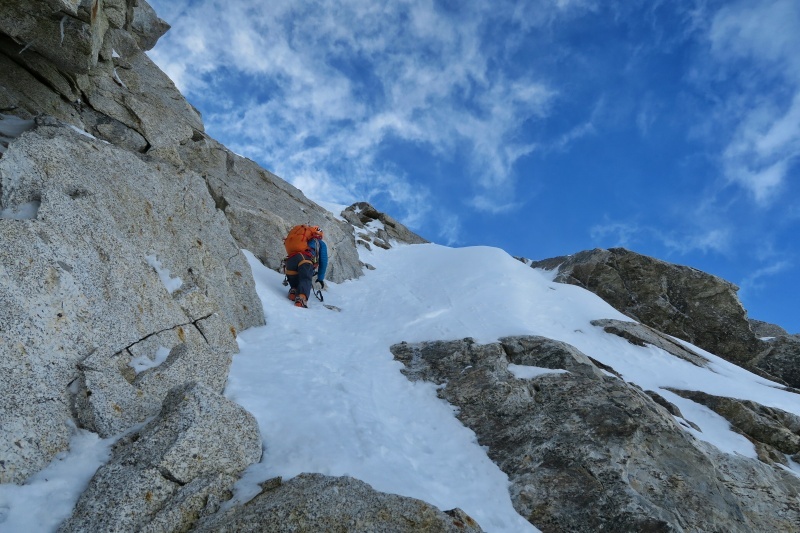 Climbing the initial couloir was really nice and it went smooth and quick. 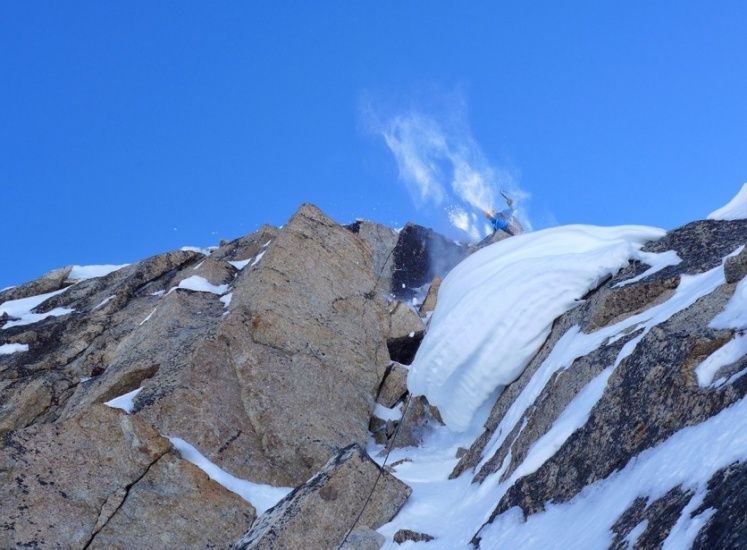 In the middle and the upper part we were much slower having hard glassy ice in traverses in the middle part, and a lot of cleaning the fresh snow in the upper headwall. 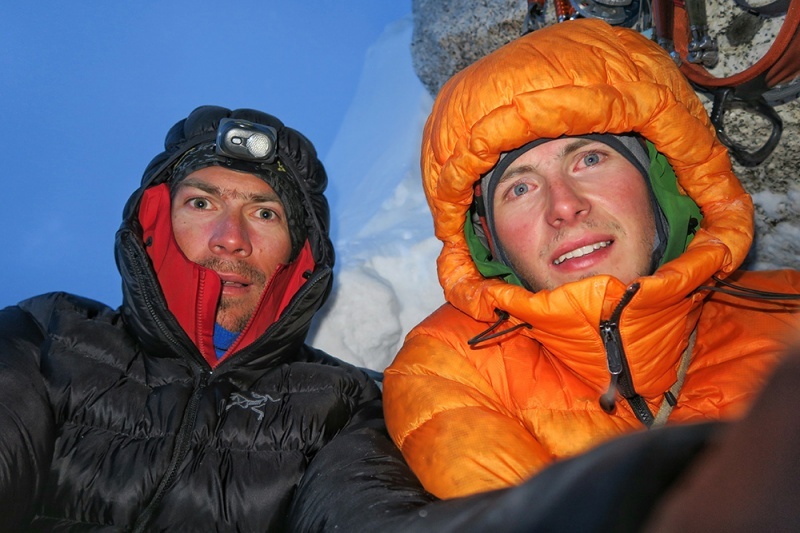 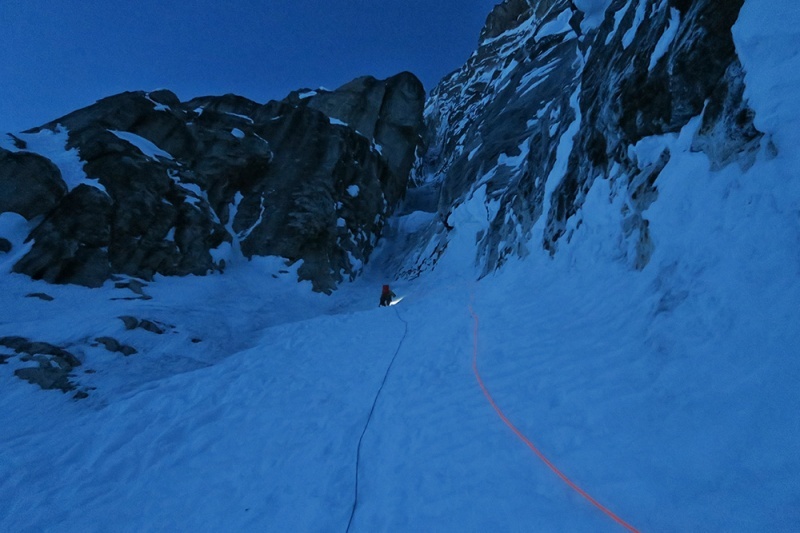 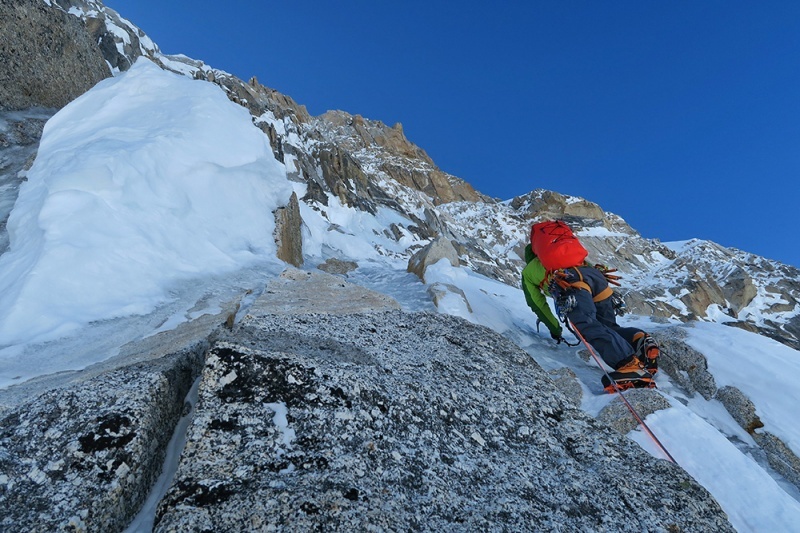 After about 23 hours of climbing we set a small bivy place under a boulder about 100 meters below the cornice bivy. 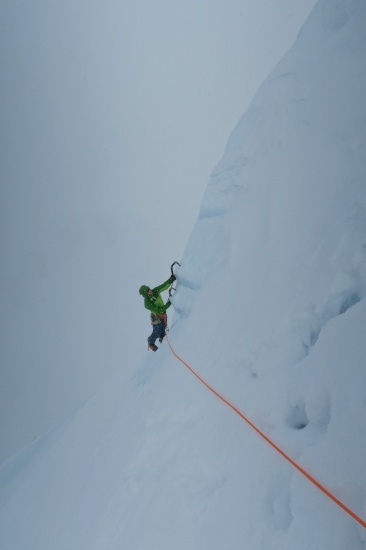 After we climbed a really impressing route we want to continue the easy part all the way to the summit. 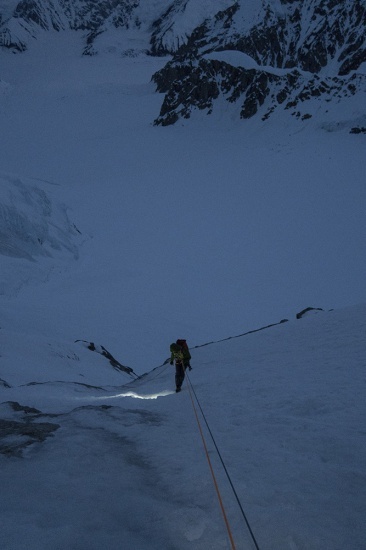 But next morning bad weather from the south came and we were forced to go back down just above the cornice bivy. 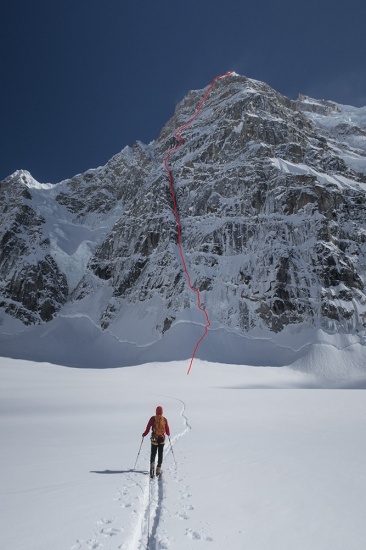 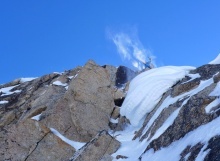 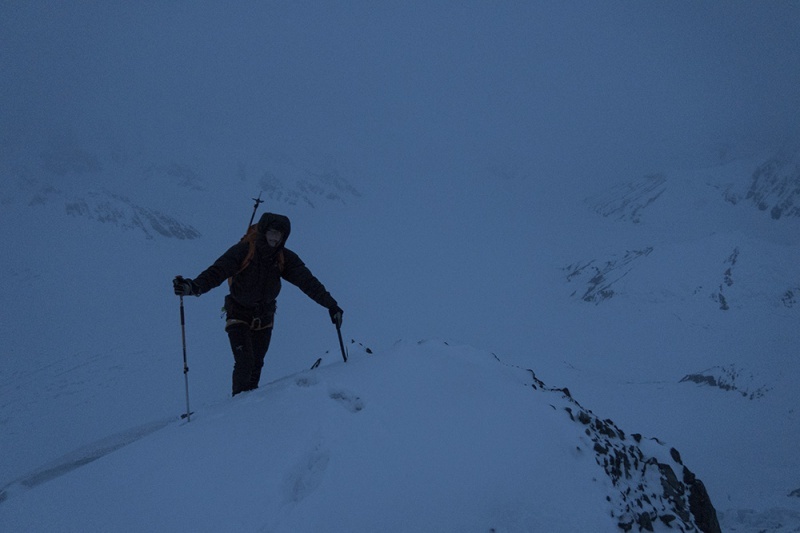 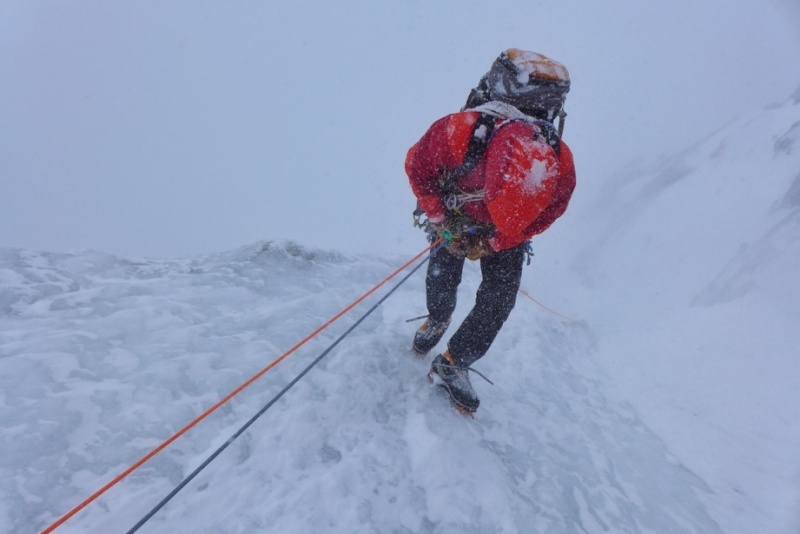 It took us around 7 hours to rappel 1500 meters of Bibler-Klewin route in low visibility and full of small and not so small spindrift avalanches. 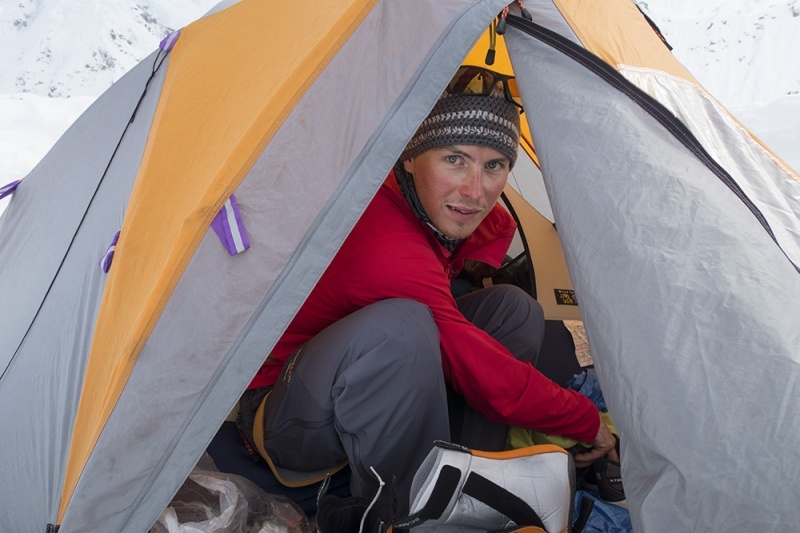 After coming back to basecamp, temperatures begun to rise dramatically and ice started to melt rapidly in Hunter's face. 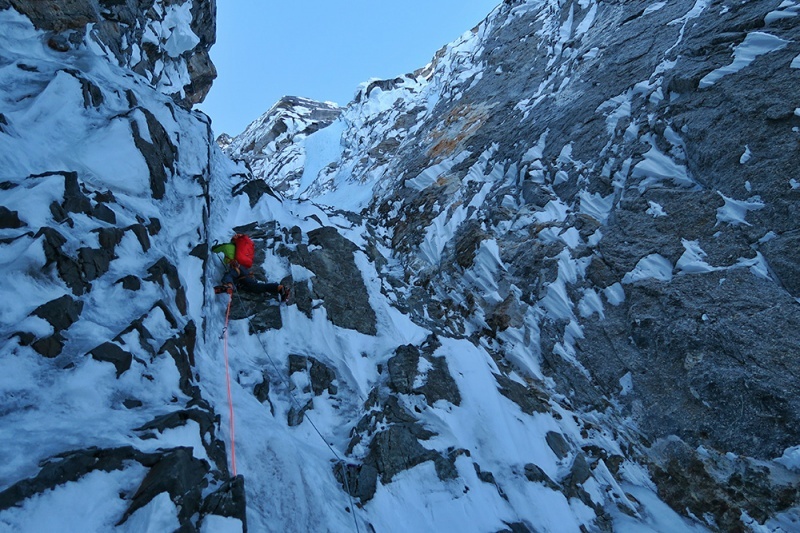 After few days of rest, we wanted to try the Deprivation route, which is on the right hand side of Hunter's north buttress. 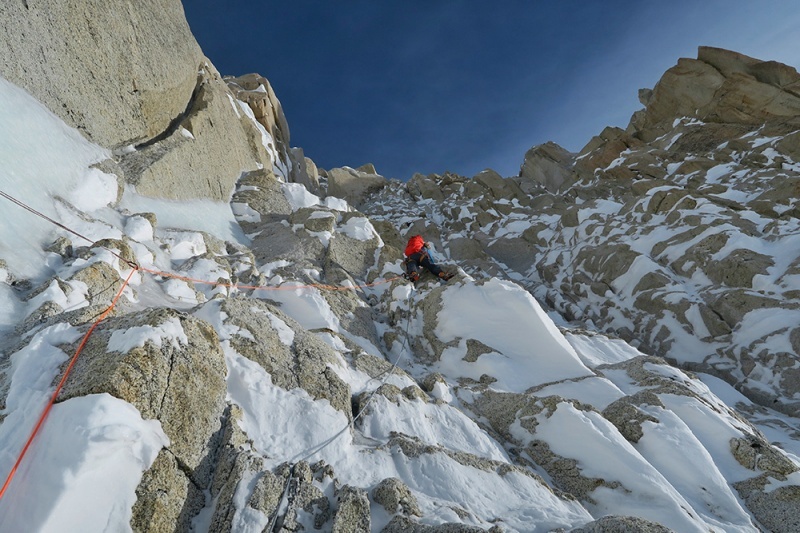 After a few hours of climbing during the night, we encounter some fragile ice with low support along with some falling snow mushrooms in our vicinity. 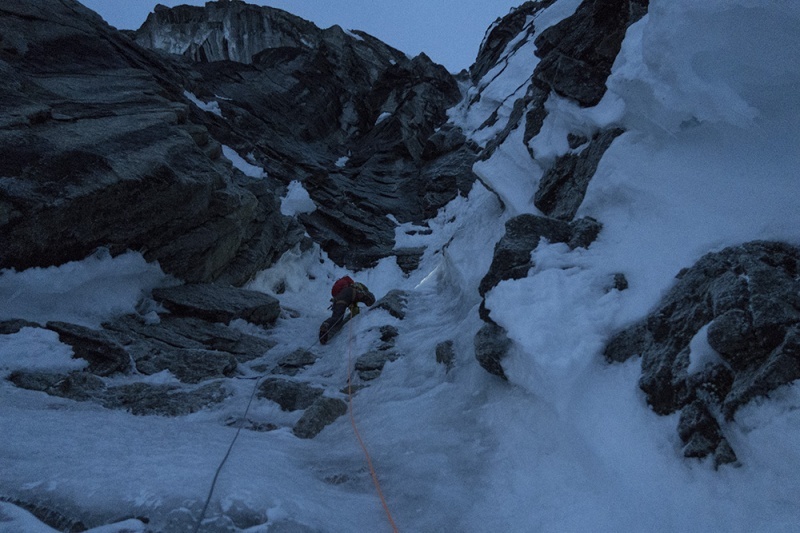 Due to safety reasons, we rappelled down and returned to the basecamp. 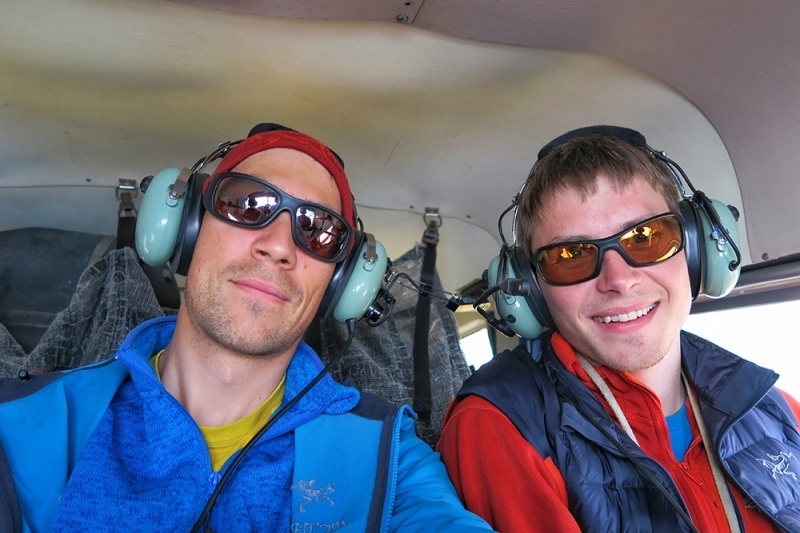 After a few days of bad and unusually warm weather we decided to end the expedition and fly back home. 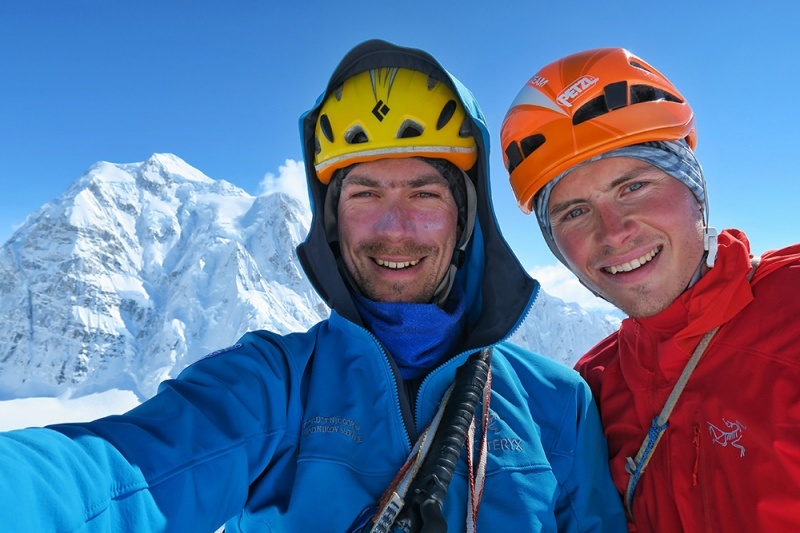 I would like to thank to Alpine Association of Slovenia for financial support and to Arcteryx for donating some high quality outfit to keep us warm.